Last week AG Professional published an article about the global rise in organic food sales. The article indicates that the International Federation of Organic Agriculture Movements (IFOAM) has reported that organic food is now a $63 billion industry worldwide. From 2002-2011, the industry grew a whopping 170%, averaging about 19% per year. This growth rate is about on par with the growth rates we have seen in Canada, where the organic market has now reached 3.7 billion. The US however, is the “largest single market for organic food (and beverages)”. Recently, the U.S. organic industry reached $31.5 billion in sales, a 9.5% increase from the previous year. One of the challenges of the rising consumer market for organics, which we have reported about previously, is a lack of domestic production to meet this demand. We simply don’t have enough organic farmers, both in Canada and in the US. While the Organic industry is growing at a tremendous rate around the world, organic agriculture still makes up less than 1% of the world’s farming acreage, a number that we at the Organic Council would like to see increase. 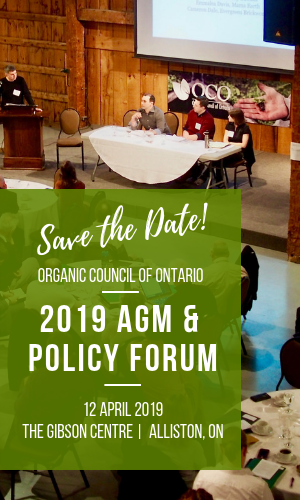 The Organic Council of Ontario provides education and support for farmers wishing to transition to organics. You can find information and resources on organic certification and organic standards on our website. See also the guide for Ontario Farmers on organic certification.